Over the last few decades, the automotive industry has seen some massive advancements, and at Master Mechanic, we’ve witnessed and worked on them all! Most recently, automakers have focused on simplifying car maintenance in hopes of making life easier for their consumers. Car manufacturers have attempted to create “lifetime” parts, including sealed transmissions. What does this mean for maintaining your car? We asked a Master Mechanic what you need to know. Why Do We Replace Transmission Fluid? How Do We Replace Sealed Transmission Fluid? First off, you’ll know you have a sealed transmission if you don’t have a dipstick to check the fluid. That said, even a sealed transmission needs to have its fluid checked or replaced on occasion. Although this may seem to contradict the name, not having clean transmission fluid can lead to significant expenses down the road. A sealed transmission doesn’t mean an inaccessible transmission. Your local Master Mechanic can check the fluid of a sealed transmission, however, the vehicle will likely need to be lifted off the ground to do so. Can You Check the Transmission Fluid Yourself? Even for seasoned DIY car owners, replacing the transmission fluid in a sealed transmission is not something you want to attempt. A minor mistake could lead to major costs, or worse, permanent damage to your vehicle. You may also risk voiding any warranty you have by attempting to service the transmission yourself. Either way, it’s best to contact your local Master Mechanic if you suspect something is up with your sealed transmission. A grinding sound when driving or switching gears. Since many drivers are holding on to cars for longer, the aftermarket is poised to service these vehicles and keep them ‘on the road’ for as long as possible. Automakers are aware of this and there is pressure on them to produce longer-lasting vehicles. There are other sealed components on your vehicle and we wouldn’t be surprised to see the number increase. 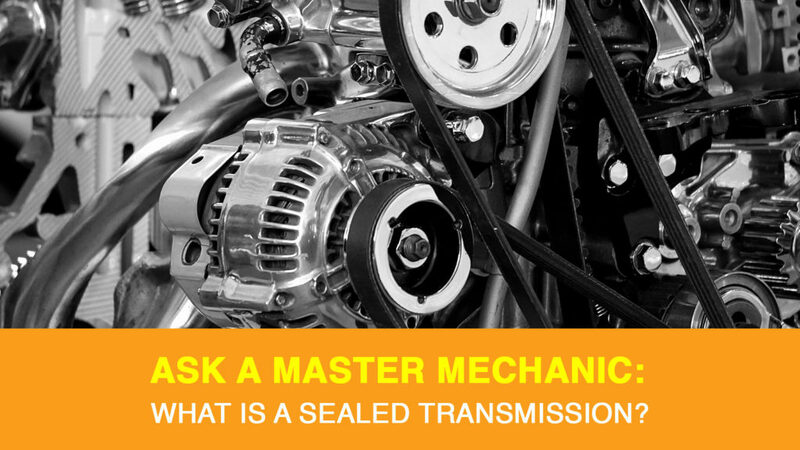 For now, it’s essential for you to understand what a sealed transmission is and how to recognize if there is an issue with yours. Remember anything in a vehicle can break down, even if the automakers claims it’s a “lifetime part”. At Master Mechanic, we’re always here to help with transmission maintenance and questions. Contact us to schedule an appointment today.